2 High quality storage boxes to house the complete The Beatles Vinyl Collection, with 4th and final delivery. Inclusion of this album might have forced our hand. Also available at some news agents, this campaign actually started last year, but was halted after just a few releases. Relaunched yesterday, let's hope they are able to continue the series until conclusion. Reports from last year's customers are that these albums are very much like the 2012 remastered vinyl stereo albums, but of course without mention of EMI, instead, Universal Music and Calderstones Productions. There is a very small "De Agostini" text on the album sleeves, which are glossy and sturdy, and the records seem to be pressed at the French MPO pressing plant, using new Abbey Road studios lacquers. Just for reference, this series began last year, with little publicity, before being put on hold after issue 5. This is pretty much a relaunch. Issue 1 is £9.99 (for limited time only) however, from Issue 2 onwards, all single albums are £16.99 and all double and triple albums are £24.99 which isn't made clear from the posting above. Ok thanks Johnny, I have added this info to the blog post! Do we know what the source files are for these? Are they the same as the stereo remasters? Although the free gifts may be fun to collect, the albums are more or less the same price as the regular editions in record stores. As for commemorative booklets, unless you are a newbie there is little that is unknown about the making of these records. Probably better to pick up the emi editions. @Marilyn Brownlie - If you click on the DeAgostini website link provided on article and go to the FAQ section you'll see the releases are fortnightly. Releases are fortnightly. They are basically the 2012 editions but with DeAgostini in the small print and very thick vinyl. The booklet is about 10 inches square but pretty flimsy. 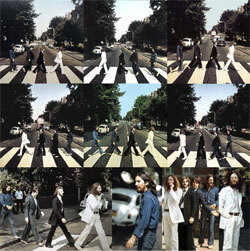 Eight printed sides with large-print sleeve notes of the typical surface-level variety and some big photos. 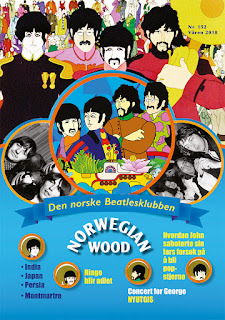 There's a great poster though, with images of all the LP covers. Issue 1 is worth the tenner it costs, but I doubt I will buy any at full price. 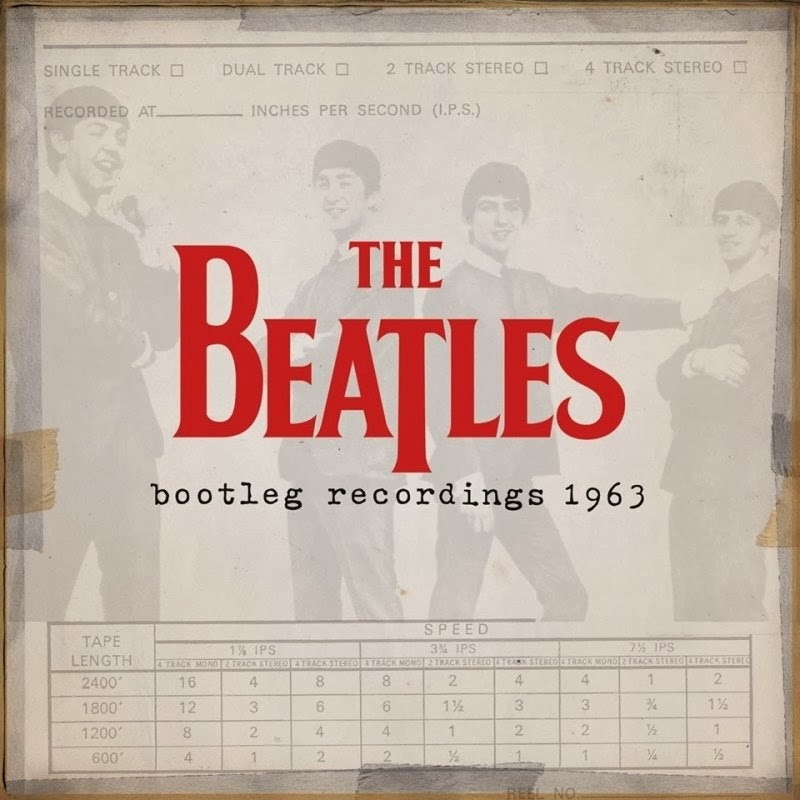 In 1966, appealing to the Christmas market and the record buying masses, The Beatles release a greatest hits compilation album called A Collection Of Beatles Oldies. 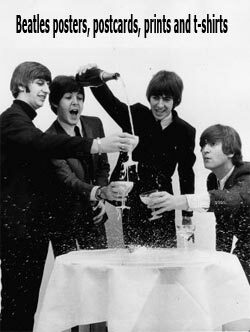 It is a limited edition LP which features all their number one singles between 1963 and 1966 plus two bonus tracks "Bad Boy" and "Michelle". For my sins, i have subscribed for the premium collection. Each delivery is every 4 weeks, according to the email i have from DeAgostini. Here is the text. Welcome to the Beatles Vinyl Collection! Thanks for subscribing! Here is some more information about your premium subscription that you will find useful. 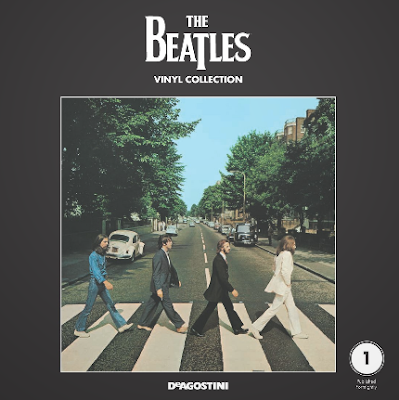 If you have any questions regarding payment, returns, or your right to cancel, please check the FAQ section of our website www.deagostini.co.uk/beatlesvinyl for further information. Subscription Information As a premium subscriber to the Beatles Vinyl Collection, you’ll never have to worry about missing an issue. If you have subscribed from issue 1, this will be sent to you separately along with your first gift. If you have subscribed from any other issue, your first 2 issues and 2 Vinyls will be with you shortly along with your first gift, followed by 2 issues and 2 Vinyls in one delivery every four weeks. 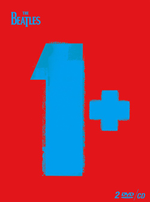 Single albums cost £18.99/€22.49 with double or triple albums costing £26.99/€32.49 and, as postage and packaging is free, there’s nothing more to pay. If you have chosen to receive special issues, these are priced at £16.99/€19.99 or £24.99/€29.99 depending on whether they are single, double or triple albums and will be available as and when they become due in the series. If you would like to receive special issues but did not choose this option when you subscribed, please contact our customer service team on 0333 300 1035 or email customercare@deagostini.co.uk and you can add these to your subscription. 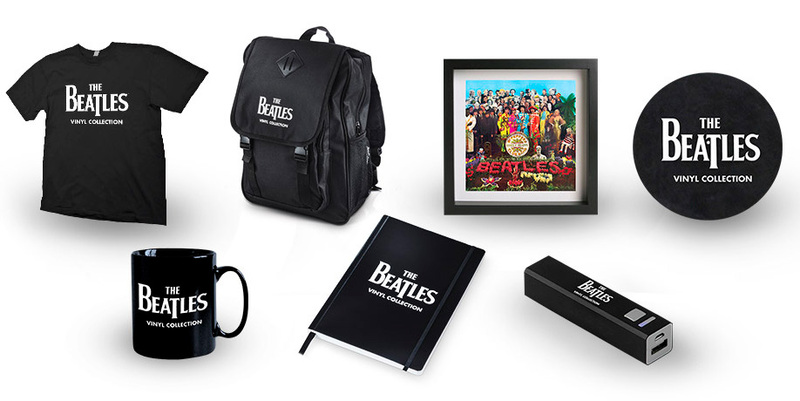 Now that you've subscribed to the Beatles Vinyl Collection, we'll be sending you some exclusive free gifts*. Your Premium Gifts Delivery 4: 1st Vinyl storage box Final Delivery: 2nd Vinyl storage box Any questions? 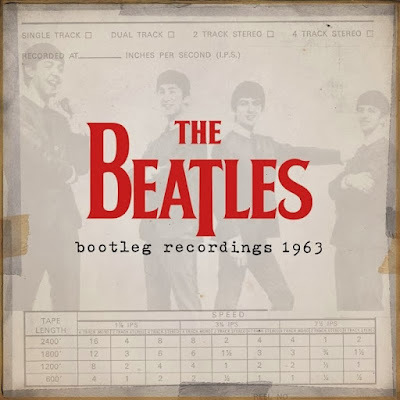 You can find answers to our frequently asked questions by visiting our website at www.deagostini.co.uk/beatlesvinyl and clicking on the FAQ tab. If you want to speak to a member of our customer services team in person, then you can call us on 0333 300 1035. Lines are open Monday to Friday, 9am to 5pm. 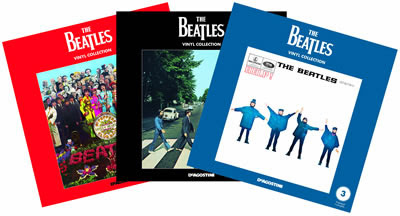 We're sure you will enjoy collecting the Beatles Vinyl Collection, and we're delighted to welcome you on board as a subscriber. Any idea what the total cost will be? I don't recall it being a limited edition release? It was later released on some budget labels, FAME was the name of one of them. I saw a FAME copy for sale in a charity shop window in Wimbledon Village just a week or so ago. They wanted £10 for it. Been meaning to go and take a look at it if they still have it. It was never released on CD. Cover art was really quite good in my opinion. I have two very good copies myself. And now it's also available in Spain.